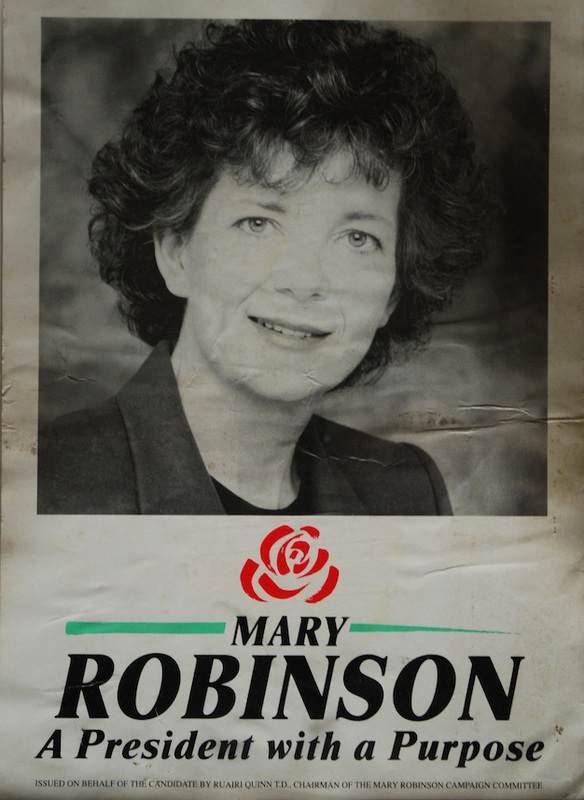 An independent candidate with the backing of Labour and the Workers’ Party, Robinson was also the first president elected without the support of Fianna Fáil. Robinson began her career as a senator, fighting to liberalise Ireland in the 1970s – access to contraception was one of her early causes, as well as abolishing a legal requirement that women in the civil service leave their jobs if they married. She was a legal advisor to the Campaign for Homosexual Law Reform, which eventually succeeded in overturning Ireland’s ban on homosexuality in 1992. As President, Mary Robinson revitalised the office, before becoming United Nations High Commissioner on Human Rights.